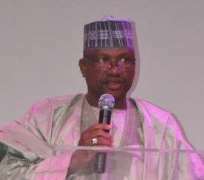 The Sokoto State Government will establish a N6.8 billion cement company in Kware, its Commissioner for Solid Minerals, Dahiru Maishanu, said on Thursday. Mr. Maishanu said in Kware that the project was a joint venture with BrewTech. Nig. Ltd., consultants of the project and other investors. The commissioner, who spoke shortly after inspecting the site for the project with officials of the consultants, said that the state government would provide 20 per cent of the amount. “The consulting firm is to provide 10 per cent, while an indigenous investor in the state is to provide 20 per cent of the money,” he said. He said that 50 per cent would be provided by the Nigeria Export/Import Bank, NEXIM, as well as local and foreign investors. The commissioner said that Kware town was selected because it had 100 million metric tonnes of limestone reserves. According to him, the limestone reserves can be used to provide raw materials for even 10 cement companies in the state. “As at now, we have only Cement Company of Northern Nigeria in operation. So, the second proposed cement company will not have any problem with regards to required raw materials,” he explained. The representative of the consulting firm, Attahiru Isma'il, commended the state government for its commitment toward the commencement of the new cement outfit. The inspection team, included officials of the Federal Ministries of Works, Solid Minerals and Environment.